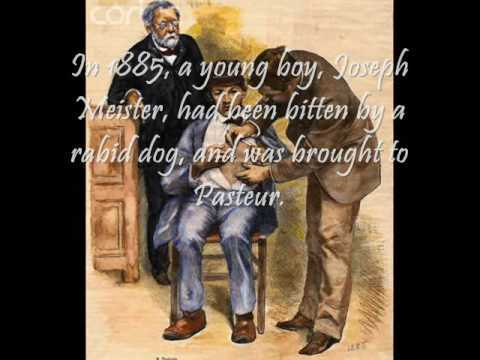 Louis Pasteur was born on December 27, 1822, in Dole in the Jura region of France, into the family of a poor tanner. Louis grew up in the town of Arbois. He gained degrees in Letters and in Mathematical Sciences before entering the École Normale Supérieure, an elite college. After serving briefly as professor of physics at Dijon Lycée in 1848, he became professor of chemistry at the University of Strasbourg, where he met and courted Marie Laurent, daughter of the university's rector, in 1849. They were married on May 29, 1849, and together had five children, only two of whom survived to adulthood, two died of typhoid and one of a brain tumor. These personal tragedies inspired Pasteur to try to find cures for diseases such as typhoid. 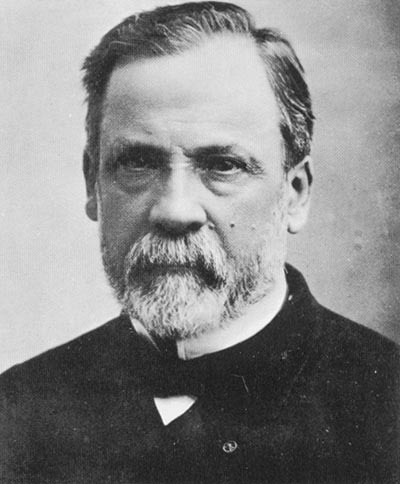 Louis Pasteur was born in 1822 in Dole, France. His discovery that most infectious diseases are caused by germs, also known as the "germ theory of disease," is one of the most important in medical history. His work became the foundation for the science of microbiology, and a cornerstone of modern medicine. As Pasteur was growing up, his teachers thought that Louis was not fit for advanced studies, and felt he should carry on the work of his father as a tanner of leather. However, one teacher realized that Pasteur was bright and found he was slow, yet methodical and persistent. Eventually Pasteur was schooled in Paris by some of the best teachers. He soon became a professor at different schools and took on various projects. Throughout his life, one major discovery led to the next discovery in a natural progression of research.